Iowa is the leading producer of corn in the USA. 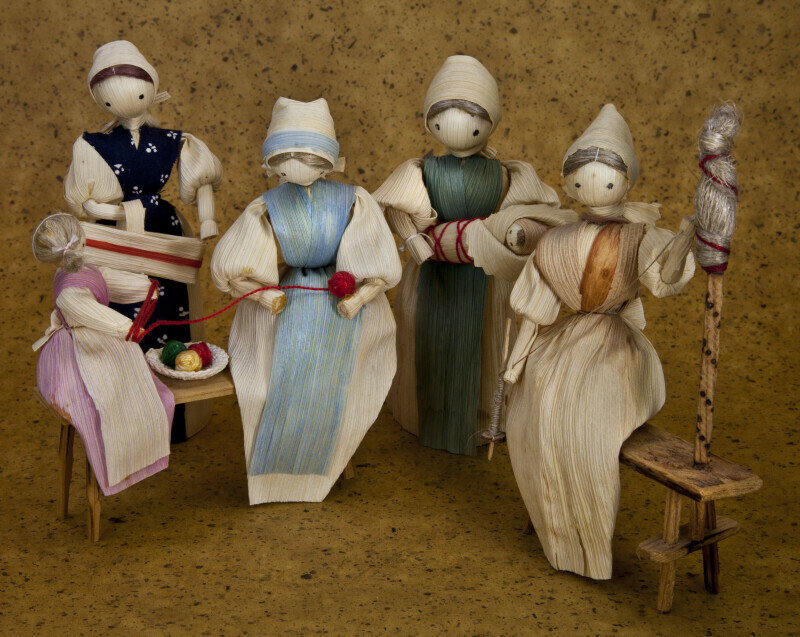 These dolls are handcrafted from corn husks that have been soaked in warm water. The husks are then formed into the body, arms, head, dress, scarf, blanket, etc. The women in this photo are in various positions -- sitting, standing, holding baby, spinning yarn, etc. The hair is made from fibers. The figure stands 6 inches (16 cm) tall.